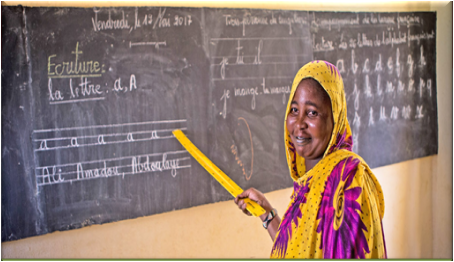 International Literacy Day, celebrated annually on 8 September, is an opportunity for Governments, civil society and stakeholders to highlight improvements in world literacy rates, and reflect on the world's remaining literacy challenges. The issue of literacy is a key component of the UN's Sustainable Development Goals and the UN's 2030 Agenda for Sustainable Development. This year’s theme is ‘Literacy and skills development.’ Despite progress made, literacy challenges persist, and at the same time the demands for skills required for work, evolve rapidly. This year's theme explores integrated approaches that simultaneously support the development of literacy and skills, to ultimately improve people’s lives and work and contribute to equitable and sustainable societies. The day focuses on skills and competencies required for employment, careers, and livelihoods, particularly technical and vocational skills, along with transferable skills and digital skills. The International Literacy Day is celebrated on 8th September every year throughout the world. On this day, in the year 1965 the World Congress of Ministers of Education met in Tehran for the first time to discuss the programme of education at the international level. The UNESCO in its 14th Session in November, 1966, declared 8th September as the International Literacy Day. Since then, ILD is celebrated on 8th September every year by most of the member countries. The key aspect of the observance of ILD is to mobilize public opinion in favour of struggle against illiteracy. ILD is a forum to disseminate information on literacy and raise the public awareness and the significance of literacy for individual and national development. The National Literacy Mission Authority started celebrating International Literacy Day every year from 1988 onwards. The eradication of illiteracy has been one of the major national concerns of the Govt. of India since independence. The occasion of ILD is used for raising public awareness to eradicate illiteracy and create environment in favour of adult education programmes. From 1996 onwards some new elements were introduced to make the programme more attractive. In the year 1996 a ‘Mashal March’ was organized involving school students and literacy functionaries. In subsequent years, variety of activities were included as a part of ILD celebration which includes: Competitions (Rangoli, Drawing etc) for the literacy functionaries at the State level by SLMAs, Exhibition of JSS products (KRITI), International Conferences, Seminars, Cultural Progrmmes etc.